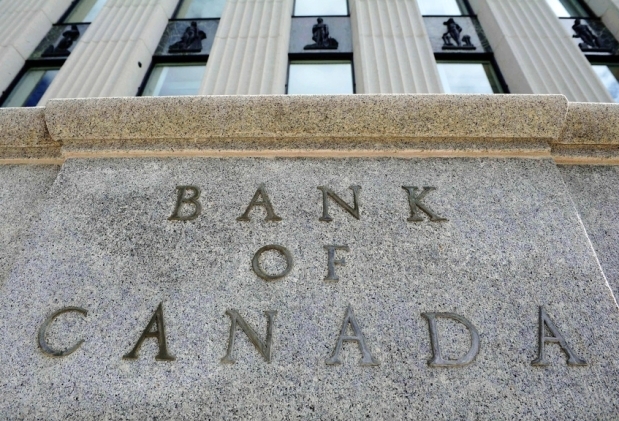 The Bank of Canada held overnight interest rates at 1.0% once again, following the two consecutive rate hikes at the July and September meetings. It was widely expected that the Bank would retake a breather this round despite the much stronger than expected November employment report and the recent uptick in inflation. The central bank sees ongoing slack in the labour market, likely referring to continued weakness in average hours worked. As well, the Bank noted that "despite, the rising employment and participation rates, other indicators point to ongoing--albeit diminishing--slack in the labour market." The rise in inflation was deemed to be short-lived, mainly reflecting the increase in gasoline prices. Third-quarter GDP growth, in contrast, was in line with the Bank's expectations at 1.7%. Canadian growth was expected to slow in Q3 while remaining above potential in the second half of this year. Consumer spending has remained very strong, and business investment and public infrastructure spending are contributing to growth. The Q3 sharp decline in exports is expected to be temporary. "Housing has continued to moderate, as expected." The Governing Council reiterated caution as the global economy is subject to considerable uncertainty, notably in geopolitical developments and trade policies. The NAFTA negotiations remain a cause for concern. "While higher interest rates will likely be required over time, Governing Council will continue to be cautious, guided by incoming data in assessing the economy’s sensitivity to interest rates, the evolution of economic capacity, and the dynamics of both wage growth and inflation." Bottom Line: The central bank is in no hurry to slow the economy and even though, by their estimate, interest rates are still two full percentage points below what it would consider "neutral." The policy statement cited buoyant global growth, higher oil prices and eased financial conditions, but uncertainty and caution dominated the theme. In contrast to prior reports, any reference to the Canadian dollar was removed. The dollar had strengthened earlier this year but has slumped since September, falling further today. The bond and stock markets rallied on this news. As many of you may remember, this past October the Office of the Superintendent of Financial Institutions (OSFI) issued a revision to Guideline B-20 . The changes will go into effect on January 1, 2018 but lenders are expecting to roll this rules out to their consumers between December 7th – 15th, and will require conventional mortgage applicants to qualify at the Bank of Canada’s five-year benchmark rate or the customer’s mortgage interest rate +2%, whichever is greater. OSFI is implementing these changes for all federally regulated financial institutions. What this means is that certain clients looking to purchase a home or refinance their current mortgage could have their borrowing power reduced. It is expected that the average Canadian’s home purchasing power for any given income bracket will see their borrowing power and/or buying power reduced 15-25%. Here is an example of the impact the new rules will have on buying a home and refinancing a home. A dual-income family with a combined annual income of $85,000.00. The current value of their home is $700,000. They have a remaining mortgage balance of $415,000 and lenders will refinance to a maximum of 80% LTV. The maximum amount available is: $560,000 minus the existing mortgage gives you $145,000 available in the equity of the home, provided you qualify to borrow it. If you have a current purchase or refinance in motion with a federally regulated institution you can expect something similar to the below. A note, these new guidelines are not being recognized by provincially regulated lenders (i.e credit unions) but are expected to follow these new guidelines in due time. Before January 1, 2018 Approved applications closing before or beyond January 1st will remain valid; no re-adjudication is required as a result of the qualifying rate update. On and after January 1, 2018 Material changes to the request post January 1st may require re-adjudication using updated qualifying rate rules. These changes are significant and they will have different implications for different people. Whether you are refinancing or purchasing, these changes could potentially impact you. We advise that if you do have any questions, concerns or want to know more that you contact us directly at 613-612-2111 or 613-203-2030. We will advise on the best course of action for your unique situation and can help guide you through this next round of mortgage changes. The most important thing for you to remember is that they’re not really in the mortgage business, that’s why you need to connect with a mortgage specialist – to properly understand all your options. If you want more information on this or mortgage financing in general, please give us a call today.